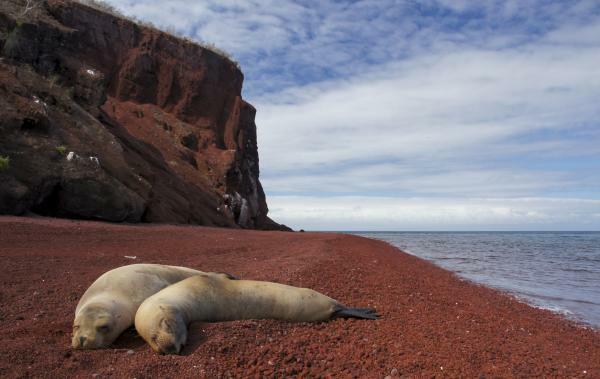 Experience the Galapagos' western islands with this 7-day cruise of exploration and adventure. Swarming with a plethora of wildlife, volcanic wonders, and breathtaking landscapes, the western islands are a distinct and memorable way to spend a vacation! Become acquainted with the sea lions, tortoises, iguanas, and various species of birds while snorkeling and on shore excursions. Transfer in to Puerto Ayora and be escorted to the boat where you check in and have lunch. Take a hike and enjoy an educational visit to the Charles Darwin Station, where the giant tortoise can be viewed in the various stages of its life. Whale Bay (Santa Cruz) The visitor site of whale Bay is a cove of green sand at the base of Dragon Hill on the west coast of Santa Cruz Island. The beach contains a large number of olivine crystals, the same that originate from volcanic materials. The crystals were formed when the magma was still underground. Near the beach, there are ceramic relics, which reflect the same antiques of human settlements that were close to the beach in 1846. According to the accounts of the French captain Genie, a path originated from this site to the top of the island, which was used to collect fresh water. It is thought that in this place lived a group of people who were dedicated to the collection of lichen, used for tinting. Dragon Hill (Santa Cruz) The visitor site at Dragon Hill has been open for visits in 1993. This site is located in northwestern Santa Cruz Island and consists of a trail that leads to a hyper-saline lagoon behind the beach, frequented by flamingos, pintail ducks and other species of birds. This site has been repopulated with land iguanas from Seymour, Isabela and Santa Cruz islands. There is a short walk to the Hill, which offers a beautiful view of the bay. Tintoreras is located south of Puerto Villamil. It has a small bay of calm turquoise waters where you can appreciate sea lions, sea turtles, marine iguanas, rays, and more. The bay is connected to a crevice of crystal clear water that’s shallow and when the tide is low the entrance closes. 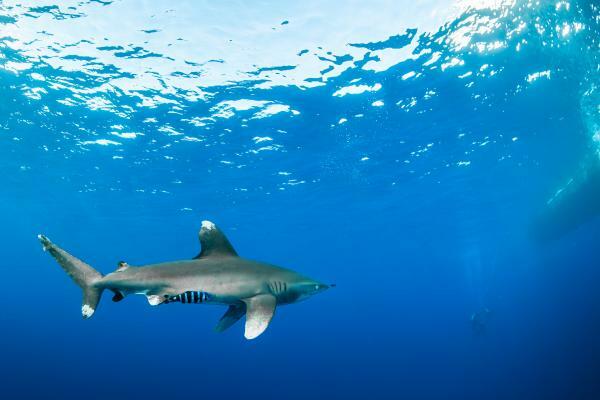 You can see how reef sharks swim along with other small fish and sea lions. The Humedales, also known as the Wetlands, is a network of trails, adjacent to Puerto Villamil. There are nine tracks that comprise the following sites: The Wall of Tears, Cerro Orchilla, El Estero, Poza Escondida, Poza Redonda, Tunnel del Estero, Playa del Amor, Bay of Tunis and Pozas Verdes. The Wetlands are coastal mangroves and brackish water lagoons formed by seepage of seawater and freshwater underground tributaries coming from the upper parts of the island. They are an important feeding area for the Galapagos penguin and one of the main nesting sites for green turtles. The wetlands of Isabela Island are essential for the maintenance of biological diversity of the Galapagos. Punta Moreno is located on the north coast of Isabela Island. 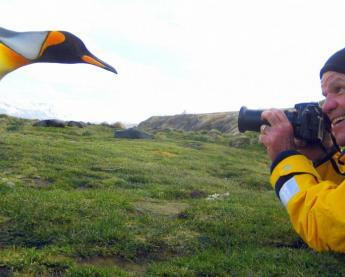 The coastal lagoons in the middle of black lava flow where there are several species of birds, the main attraction in Punta Moreno. It has a view of the 3 volcanoes most active in the Galapagos. Urbina Bay is located at the base of volcanoes Alcedo and Darwin, and is west of Isabela Island. 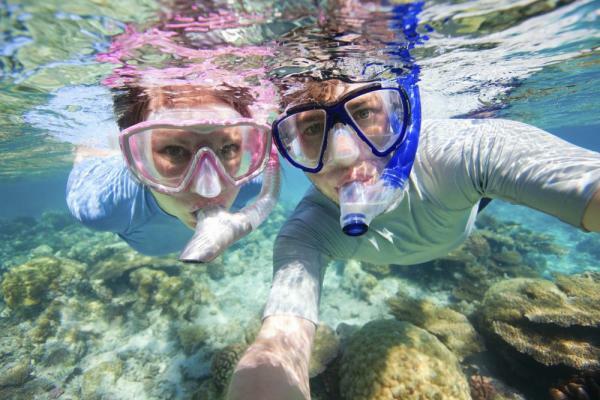 Here you can find corals, shells, and many other organisms exposed above the water. This area is also home to large and very colorful Galápagos land iguanas, giant tortoises, and the famous population of Alcedo Volcano. 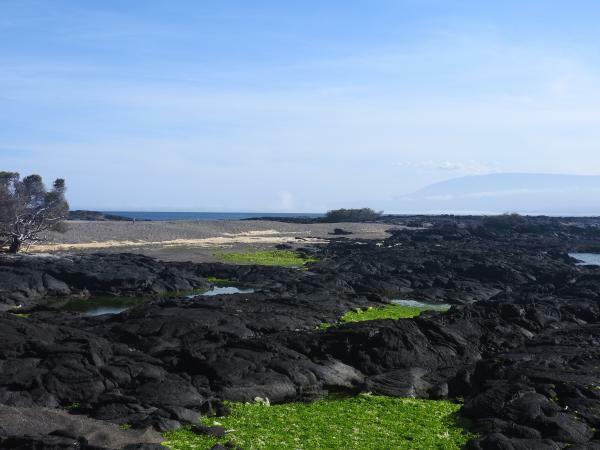 Home to the largest colony of marine Iguanas in the Galapagos, set sail for Punta Espinosa on the island of Fernandina. As you near the shore, scan the lava rock as it appears to move in front of you, the effect of hundreds of iguanas moving together at once. In the afternoon, Tagus Cove awaits. In the past, the cove was a favorite spot for pirates and whalers, but today it is known for its characteristic vegetation and various land birds. Immediately beyond the shore sits Darwin Lake, which, despite its fresh appearance, is deceptively salty. A fascinating place to visit because it had a great volcanic activity in the past is Puerto Egas, which is located northwest of Santiago Island. Puerto Egas is one of the most popular sites in the Galapagos Archipelago. It has a beautiful black sand beach where you can see its many inhabitants including sea lions, chameleons, lizards, and herons. 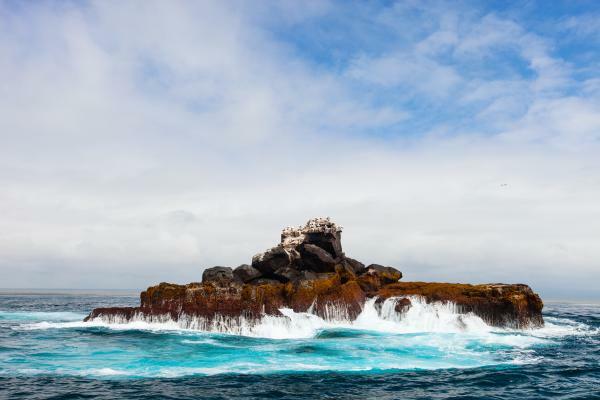 Rabida, also known by the name of Jervis in honor of a British Admiral John Jervis, is located south of Santiago Island. 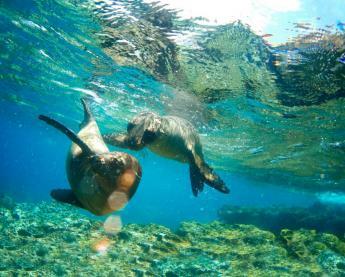 It is commonly regarded as the geographical center of the Galapagos Islands. The island has a high iron content which causes its distinctive reddish color. Its main attraction is the salt lagoon with flamingos, pelicans, and boobies. This is an excellent location for them to build their nests. Expect a wet landing on the white sand beach of Las Bachas. 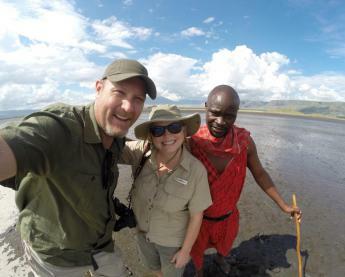 This is a great area for seeing flamingos and migratory birds. In the vicinity of the Las Bachas beach, have the chance to observe predominant vegetation of the coastal zone. Las Bachas beach represents one of the main nesting sites of sea turtles on Isla Santa Cruz and is a very popular place for snorkeling and swimming. Afterwards transfer out to Baltra`s Airport for your return to the mainland.